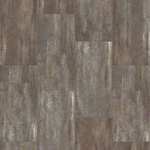 Easy Vision LVT by Shaw has a contemporary size & a trendy stained concrete look. 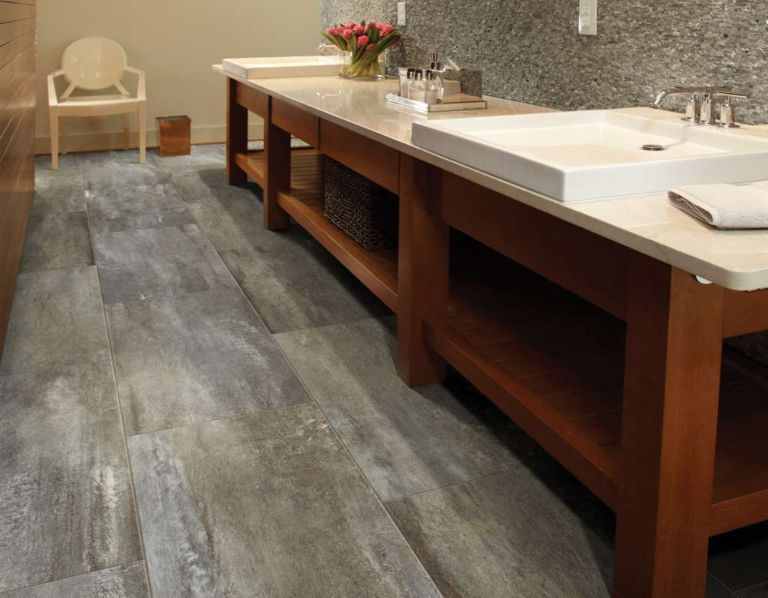 Easy Vision LVT by Shaw Floors showcases a hand stained concrete look. 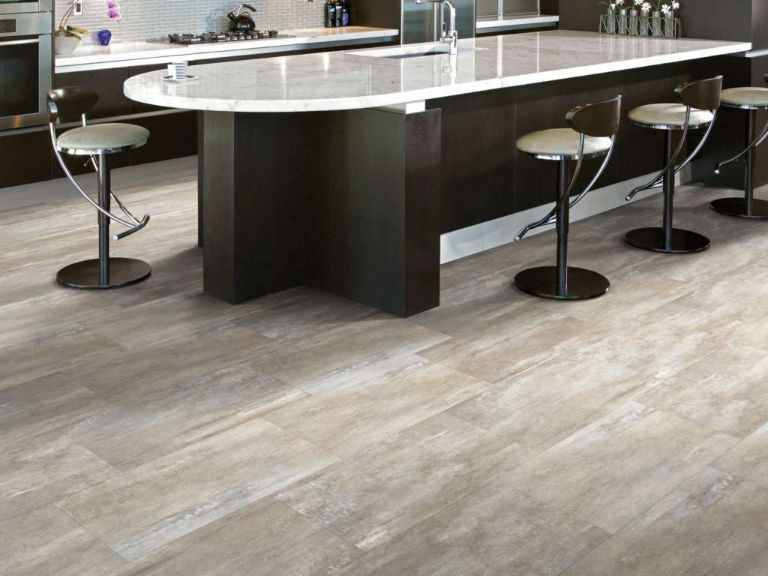 Stylish enough for traditional to modern to urban environments. 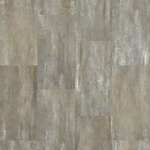 The distressed concrete appearance is one of the most loved fashions today. 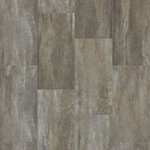 The luxury vinyl tiles are 12” x 24” and can be a perfect match for your bathroom, kitchen or entryway. 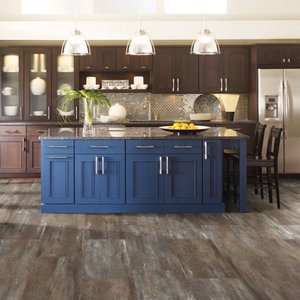 It is durable, water resistant and is easy to install. So easy, in fact, that you can do it yourself. 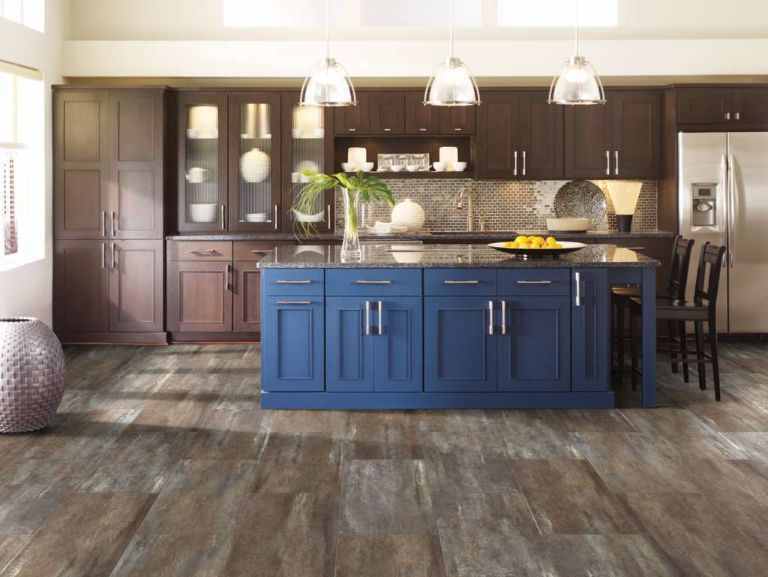 Easy vision has hassle free installation with Shaw's VersaFit no-glue backing. Although depending on your needs they can be installed 3 ways: loose lay, perimeter glue, and overall glue. 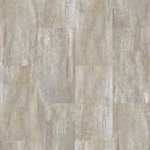 They are stain proof, waterproof and long lasting while providing a sleek modern look to your home.